There has been a lot of speculation lately about what the world of driverless cars will look like, in the relatively near future. Observers are not only wondering what our society will become when cars don’t need drivers, but also what will the cars themselves look like. Will they have steering wheels? How will the interiors be designed? And lots of other questions. But until now no one really thought much about the outside of the car, particularly, the tires. 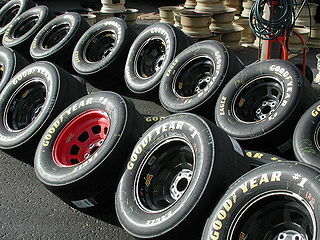 Goodyear, the giant manufacture of tires for vehicles, has been thinking about this issue. At the Geneva International Motor Show Goodyear presented what they are calling the Eagle-360, spherical tires (big rubber balls) designed exclusively for autonomous cars. Apparently these tires will not connect to the car’s axles. Rather, they will magnetically levitate underneath the car. There will be a battery inside the wheels which will power the movement of the wheels. The batteries will charge from the car body wirelessly, and also from regenerative braking. Other features, such as sensors and specialized treads will send information about road conditions to the car, as well as being responsive to the particular conditions of certain geographic regions. Even more amazing is that the wheels will not even turn in the traditional way. The balls will just start to roll in a different direction when a turn is needed. These cars are more efficient, for instance, they can be densely packed in parking lots, since they can make turns at 90-degree angles as opposed to traditional turning radius of conventional cars.